For pastors reading this article, what do we mean by the term “sanctuary movement” or “safe space”? What are the goals and objectives of these spaces? Friedman: Sanctuary is a term that has been used for centuries to describe protecting individuals in a place of worship. It goes all the way back to the Greeks and Romans, but it gained popularity in the United States in the 1980s with respect to Salvadoran and Guatemalan refugees who were concerned about being deported by the Reagan administration back to their homelands, despite the violence and human rights violations they faced there. How common is it for churches to operate as safe spaces? hosting recently paroled immigrants from detention centers, and hosting immigrants applying for asylum. We’re also seeing internal US migration of undocumented immigrants into California from other, more immigrant-hostile states. Friedman: Going back to 2014, there were about 250 churches or houses of worship that had declared themselves to be sanctuaries. By the end of the Obama administration, that number grew to about 400. After the first 100 days of the Trump administration, that number has grown to approximately 800. That said, there are only about 20 churches actually housing undocumented immigrants today. How is the current political environment affecting the importance of safe spaces as a topic for church leaders? Duecker: The current political environment is chaotic, subject to rapid changes and arbitrary decision-making along several levels of the Homeland Security system, from the local ICE officer who has much discretion, on up to the President. This necessitates flexibility as church leaders consider creating safe spaces for our undocumented neighbors, who need a safe place for a variety of reasons and situations. 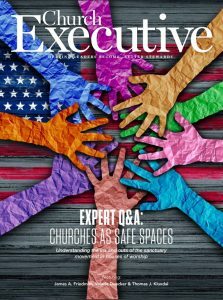 How safe churches can make their spaces as sanctuary congregations will depend more and more on expanding local community-wide support on many levels (police, sheriffs, affiliated non-profit groups, supporting sanctuary congregations), as well as a coordinated public relations campaign to accompany physical sanctuary hosting. Kluxdal: From a safety perspective, the Church Mutual risk control department has seen an uptick in the number of policy holders contacting us as the media addresses these issues. We’re seeing questions about how to protect facilities and potentially establish their churches as sanctuary environments for asylum-seekers. Friedman: Nationally, the information is very consistent with what [Kluxdal] just noted. Although President Trump has received more headlines in his first several months in office, the increase in enforcement of border control laws really began under President Obama. According to a Washington Post article, there were more than 5 million deportations during the eight years of the Obama administration, and that was a record for any U.S. president. There were also massive numbers of arrests of undocumented aliens; for example, in a three-month period in 2014, there were more than 29,000 arrests. That said, President Obama was actively doing things to try avoid separating families and to try to find ways for illegal immigrants to live in the country with documentation, legally. He started the Deferred Action for Childhood Arrivals (DACA) program and a number of others. When President Trump took office in January 2017, he immediately started signing executive orders that went back on some of the loosening of the immigration laws under President Obama. The numbers of detentions and deportations started increasing again under President Trump. In the first 100 days of his presidency, there were approximately 42,000 immigration-related arrests — an increase of more than 20% compared to the same period in 2016. Through executive orders and other statements, President Trump has made it clear that he’s prioritizing a broader swath of illegal immigrants; there were more than 10,000 arrests of non-criminals in the first 100 days of his presidency. In the same period in 2016, there were only about 4,200. From a legal standpoint, is it as simple as a church simply declaring itself a safe space? Friedman: There’s really a single federal law in play: 8 U.S. Code § 1324. It basically says that it’s a criminal violation for a person or an entity to knowingly conceal, harbor, or shield from detection an undocumented immigrant. The penalties are significant; an entity can be fined up to $500,000 for each violation and an individual up to $250,000. And, individuals can be imprisoned for up to five years for a violation. Under the same statute, it’s also illegal to transport undocumented immigrants within the United States. There’s a very, very limited exception for unpaid missionaries in certain circumstances. If a house of worship is interested in being a safe space, the one area it can focus on is an Immigration and Customs Enforcement (ICE) agency memorandum. Back in 2011, during the Obama administration, the head of ICE, John T. Morton, issued a memorandum that told his agents to avoid what was referred to as “sensitive locations” in making arrests. Those locations include places of worship, schools, hospitals, rallies and demonstrations. It doesn’t have the force and effect of law; it’s simply a memorandum from the head of the agency to his agents giving them some instructions. So, if the Trump administration decided to go against the Morton memorandum, it could do so without passing a new law, without an executive order, simply by changing the directive to the enforcement agents. That said, since 2011, ICE has pretty consistently avoided making arrests at churches and other sensitive locations. I’d note that while ICE, under President Trump, hasn’t done anything entirely inconsistent with the memorandum, the executive orders coming from the President certainly seem to suggest it’s a possibility. And ICE is starting to kind of creep up to the line. Some illegal immigrants who have sought sanctuary, but then have done the right thing and appeared at court hearings or at check-ins with their ICE agents, have been arrested once they’ve left the sensitive location. Duecker: Today churches, schools and hospitals are classified as “sensitive locations” under the 2011 ICE Sensitive Locations Policy. ICE will not enter any of those venues to take custody of a person facing an order of deportation. This policy is subject to change under the new administration. This has not been tested yet under the Trump administration; however, recently some ICE officers have approached school and church properties to arrest and detain immigrants. What are the risks and fears to be aware of regarding the use of a church as a safe space — both for church leaders and for undocumented immigrants taking sanctuary in them? Friedman: Legally, with respect to the house of worship and its representatives who are responsible for the decision to house an undocumented immigrant, you’re worried about the criminal penalties under the federal statute, which, as I noted before, are up to $250,000 per occurrence and up to five years in prison for an individual, and up to $500,000 for an entity. There’s no reason to think there would be any kind of civil liability; in other words, a private citizen couldn’t really sue you for doing that. Church membership might disagree with the church leadership’s decision and potentially file a breach-of-fiduciary-duty-type of lawsuit, but that’s unlikely since they’re not really causing harm to the church other than, potentially, the criminal penalties themselves. With respect to the immigrant him or herself, there’s really no additional penalties for seeking sanctuary at a house of worship. They’re subject to potential deportation, and they may be subject to other criminal penalties based on their conduct, as well. But seeking sanctuary doesn’t really change things dramatically for them. Duecker: The answer depends on the status of the immigrant. Once an immigrant’s application for asylum is accepted, they’re safe from deportation as their application is processed. Detention is possible if ICE determines that’s necessary — avoiding detention is important for our congregation to support. An immigrant with a final order of deportation, along with an application for a stay, also is “safer.” An immigrant who has exhausted all appeals and has a final deportation order creates some risk for the immigrant and the congregation. The immigrant can’t leave the church premises without risking arrest, detention and deportation. However, ICE still needs a judicial warrant to enter the premises or obtain documents from the immigrant. Several of our congregation’s clergy have offered to physically stand up to ICE to protect our guests. Congregation members aren’t expected to be responsible for that protection. Clergy on staff may have increased legal protection to engage in resisting ICE intrusion. The extent of that protection is tested in the courts. Are there alternatives to safe spaces for churches concerned about the potential legal consequences, but who still want to offer assistance to undocumented immigrants in their communities? Friedman: It’s certainly appropriate, and probably the right thing to do, for a house of worship or congregation to implement and enforce a policy of nondiscrimination, regardless of nationality or immigration status. Similarly, a congregation can implement and enforce a policy that they don’t ask their members or people who participate in the congregation about nationality and immigration status. They can go further than that, in fact, by offering a food pantry or other type of assistance program as long as it’s available to anyone, regardless of nationality or immigration status. A church can provide short-term shelter if, again, it’s not exclusive to undocumented immigrants but available to anyone regardless of nationality or immigration status. These steps would not be in violation of the federal statute. HOUSES OF WORSHIP & THE IMMIGRANT SANCTUARY MOVEMENT — Created by Attorney James A. Friedman for Church Mutual Insurance Company, this very helpful whitepaper examines the underlying legal framework; offers a closer look at the ICE Memorandum (then and now); maps out risks and risk mitigation strategies, and much more. Similarly, a church can refer people who ask to resources that might be able to help them with respect to their immigration status. And there’s at least one federal case that suggests — particularly in the event of an emergency — it’s appropriate to transport an undocumented immigrant to a hospital or to a doctor for medical care. 1) advocacy to change policies, public opinion and local, state and federal law; 2) Sanctuary in the Streets/Rapid Responses when trained allies of immigrants respond to witness ICE raids in their local communities; 3) accompaniment of newly arrived and longer-term undocumented immigrants to court hearings, doctor appointments, as well as accessing social service and legal resources; and 4) physical hosting in Sanctuary in the congregation. Related to safe spaces, are there legal and/or educational resources you’d recommend to our readers? Friedman: Start by looking at the federal statute I’ve referred to: 8 U.S. Code § 1324. It’s relatively straightforward, not too legalistic. The ICE memo, too, is very simplistic. Beyond that, the best resource I’ve found is a document created by the American Civil Liberties Union called Sanctuary Congregations and Harboring FAQ. It’s easy to find online. It’s a really nice question-and-answer on many of the issues we’ve been discussing today. Kluxdal: I’d agree with that. We use that document in conversations with our customers as well. Duecker: We’ve produced an e-booklet describing our process: Becoming a Sanctuary Congregation. We can give interested congregations a copy. It includes links to educational resources. As co-chair of the sanctuary team, I depend on information and guidance from Faith in Action Bay Area and Interfaith Movement for Human Integrity. Both organizations regularly consult with immigration lawyers. I belong to Peninsula Interfaith Coalition on Immigration and consult ACLU postings on sanctuary congregations. Every sanctuary congregation needs to consult with immigration attorneys. We have two attorneys to call on, in case of urgent or immediate needs. 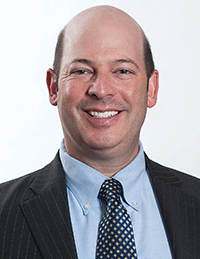 James A. Friedman is an attorney with extensive experience in insurance and reinsurance law. He is the leader of the Insurance & Reinsurance Working Group and a co-leader of the Litigation Team at the Madison, Wisc., law office of Godfrey & Kahn, S.C. He practices in the civil litigation area with an emphasis on insurance coverage, insurance liquidation and guaranty fund work, media law and appellate litigation. The Best Lawyers in America twice has named Friedman Appellate Lawyer of the Year in his jurisdiction. He earned his undergraduate degree with high honors from Georgia Tech; graduated with honors from the University of Wisconsin Law School; and received a Master of Public Affairs from University of Wisconsin. 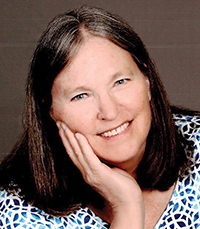 Valerie Duecker: As a workshop and small group leader, a preacher and teacher, a hospital (then high school) chaplain, and as an interim minister in the United Church of Christ, Duecker’s ministry has focused on creating sanctuary in relationship with God, oneself and others. Before ordination, she created a model of healing based on finding sanctuary — a safe enough place to be open to God’s love. Now, as co-Chair of the Sanctuary Team at Congregational Church of San Mateo, Valerie has expanded her ministry to social activism and advocacy for immigrants in need of some form of Sanctuary. Being the grandmother of a Muslim child of a Tunisian immigrant and a Spanish-speaking child of a gay Mexican immigrant inspires her in this calling. 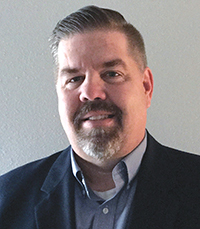 Thomas J. Kluxdal joined Church Mutual in the claims department in 2012. In 2016, he moved to the risk control department where he now serves as a Risk Control Operations Manager. He earned his bachelor’s degree in Business Administration from Hamline University in 1986. Kluxdal: We’ve received a number of these type of questions [at Church Mutual]. Our recommendations are basic best practices — for example, having separate living facilities away from the main gathering areas. This provides a little bit of space between the asylum / sanctuary seekers and church members, because a lot of times we don’t know their backgrounds. Additionally, we recommend providing 24/7 security or supervision. These efforts are especially important in youth areas. There’s obviously a lot of curiosity with young adults or young children when there are new people in the building. And of course, we also want to provide privacy and protection for the guests. You also recommend “partnering with parents.” What do you mean? Kluxdal: We’re talking about creating an awareness for parents that the policy holder of the congregation is involved in this practice. We offer a few ways to go about that: either provide a written notice about the whereabouts and activities of the sanctuary families or individuals, or meet directly with the parents of youth involved in activities at the church. Provide parents with details of what they can expect and what’s going on — and again, how you’re going to protect youth. What can you do to protect church property, especially money and valuable items? Kluxdal: We recommend that our customers restrict office space and areas where they might have valuables and computer equipment or money. Usually, that’s done in one of two ways: card readers or security cameras to monitor those locations, or having security in place. The expense and the cost associated with electronic door monitoring has come down significantly, and it provides an additional layer of protection. Churches must also establish ‘house rules’ for guests staying at these facilities, making sure they understand where they can and can’t be. How can a church prepare its facilities to provide safe living arrangements? Kluxdal: Check with local codes, and work with whoever has jurisdiction over these things in your area. Determine the minimum requirements for housing people in your buildings and facilities. Verify that living quarters are equipped with the basic recommended life and safety necessities. Make sure bathroom facilities are adequate for the population and that they meet code requirements. Inspect the living quarters to assess general condition, and correct any hazards that may be evident. How can a church make sure the people it accepts into its building are safe and responsible? Kluxdal: We typically recommend a reference or background check on an employee or volunteer, but it’s difficult to do that with asylum-seekers. We’ve done a lot of research on this topic, and we recommend, if possible, to do a reference check — or even a background check if they’re willing to provide it. We won’t always get the right information, as they typically won’t provide their real names. Other recommendations include a code of conduct that everybody is aware of. Provide detailed information on controlled access and entrance points in case of an emergency, and also so guests know where they not supposed to be. If you can get them to sign an agreement acknowledging the code of conduct, that’s great. And if there’s any quid pro quo employment involved, make sure all your bases are covered regarding the work guests will be doing, how they’ll be doing it, and so on.